Wow that title was a stretch. 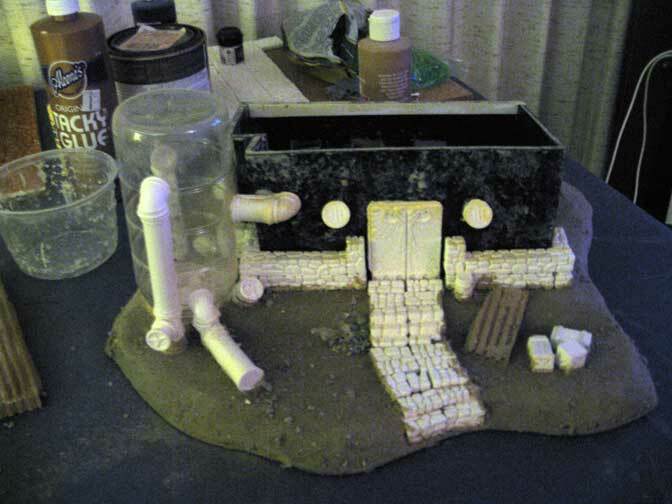 Working on the desert terrain for my new 40K layout I realized that although it looked pretty good not having a centerpiece just wouldn't do. To the box o'junk. Digging around through the recyclables I found a parmesan cheese container that led to inspiration. The ridges cleverly concealed beneath the plastic label looked to me like some type of holding container. Buried at the bottom of my box of unfinished bases I found a hill that would serve as a solid base. 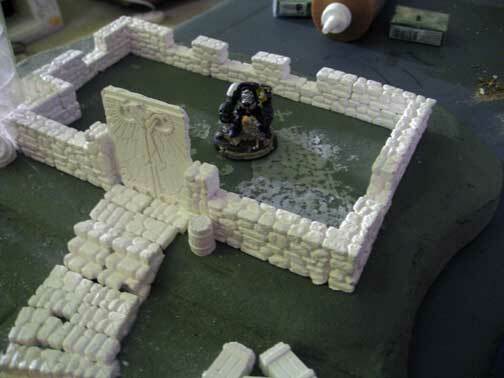 From there I used some Hirst Arts blocks to create a foundation. After gluing them in place I measured and cut some foam core for the walls. 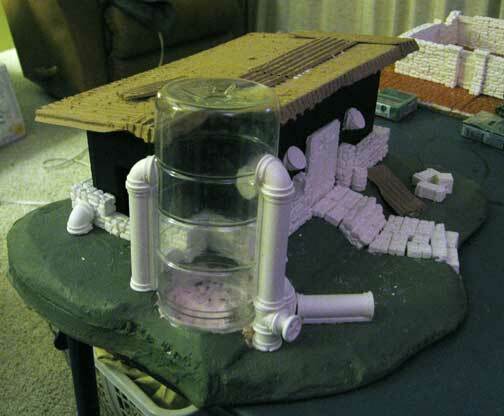 Once that was in place a carved out a spot for my container and glued some Hirst Arts pipes to the outside. For the roof I wanted to create a corrugated tin style roof. I'm reading Purging of Kadillus right now and there's a scene in which the scouts campo out on the tin roof of a mining complex. So I wanted to create something similar to what I saw in my mind's eye. After the piece was finished I covered it with some watered down wood glue and sprinkled debris to give it a desert texture. Painting follows the same as I did with the previous desert terrain. All in all I got this project nearly finished during the Oscar's and I think it turned out better than that horribly long drawn out award's show.